My sprints were consistent ~ about a 6:30 min/mile pace and I didn't break down on the last set so that is good. Now I just have to do speed work once a week to get my running back to where it was over a year ago! I got 1336 Meters and was able to maintain a 2:00/500M pace for each round, on a standard row, my pace is somewhere from 2:20-2:30/500M. 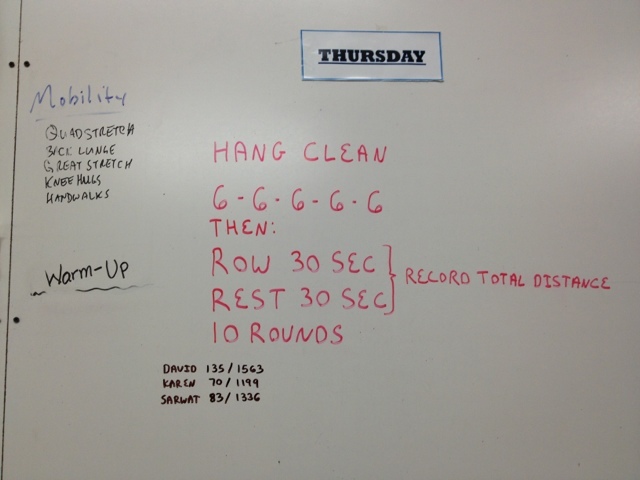 I really liked doing "sprints" on the rower! Now I just rest and get the right nutrition for another weekend of races (trail half-marathon and a 10 mile mountain bike race)! 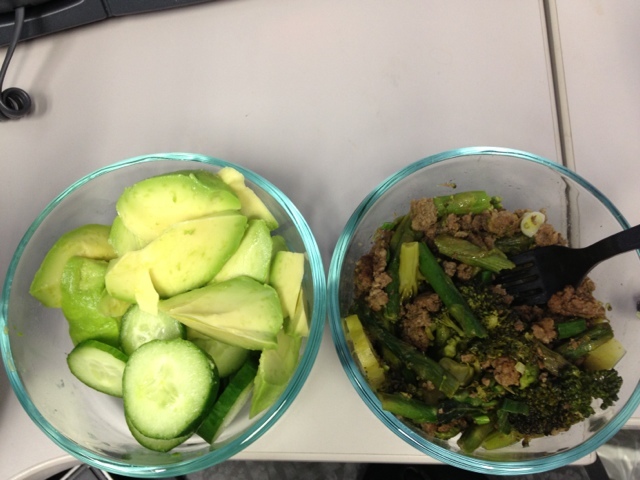 Lunch this week: organic ground beef with asparagus/brocolli with a side of avocado/cucumbers!